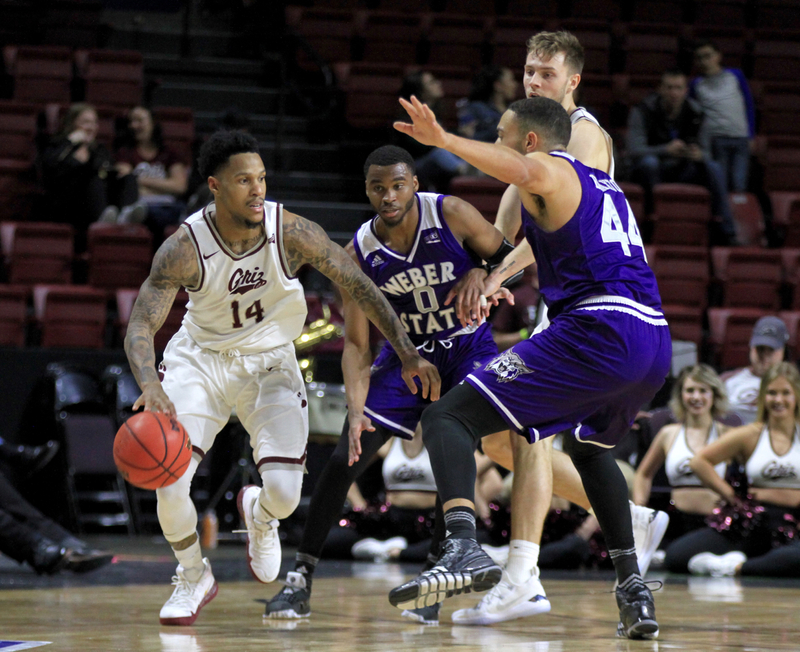 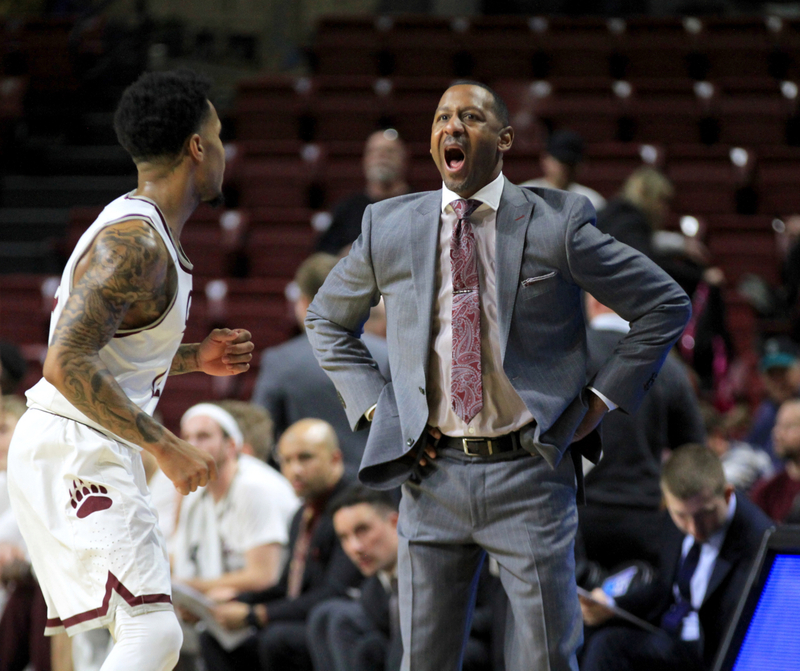 Just like in their two regular-season meetings, the Montana Grizzlies shot out to a huge first-half lead Friday in the Big Sky semifinals against the Weber State Wildcats. 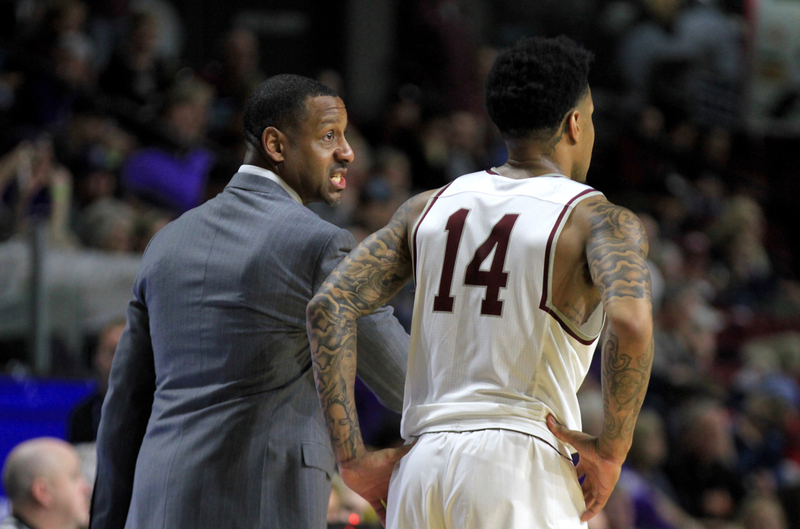 Unlike in those matchups, though, the No. 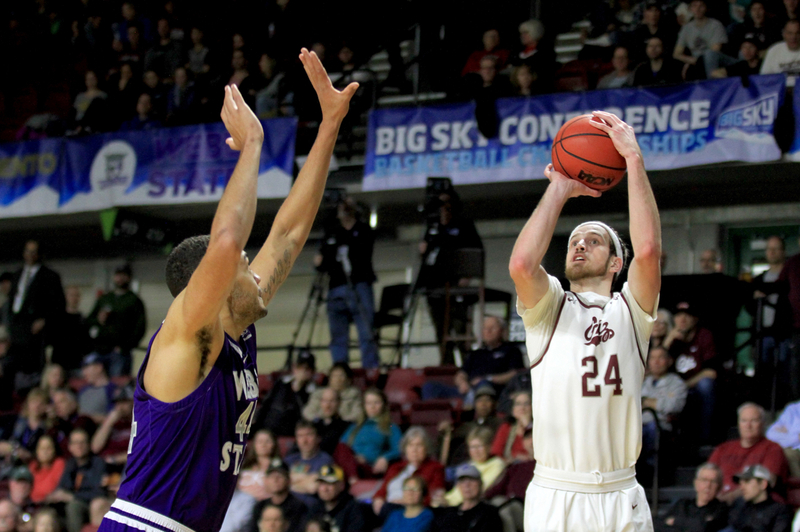 1 seed Griz kept the pressure on, extending their lead and eventually running the No. 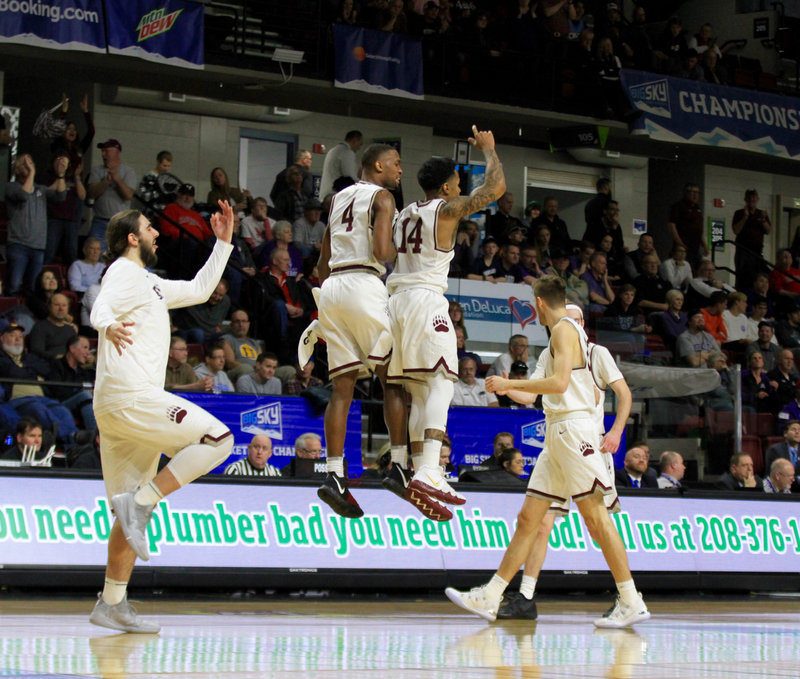 4 Wildcats off the court in a dominant, destructive performance, winning 78-49 to advance to the conference championship for the eighth time in 10 years. 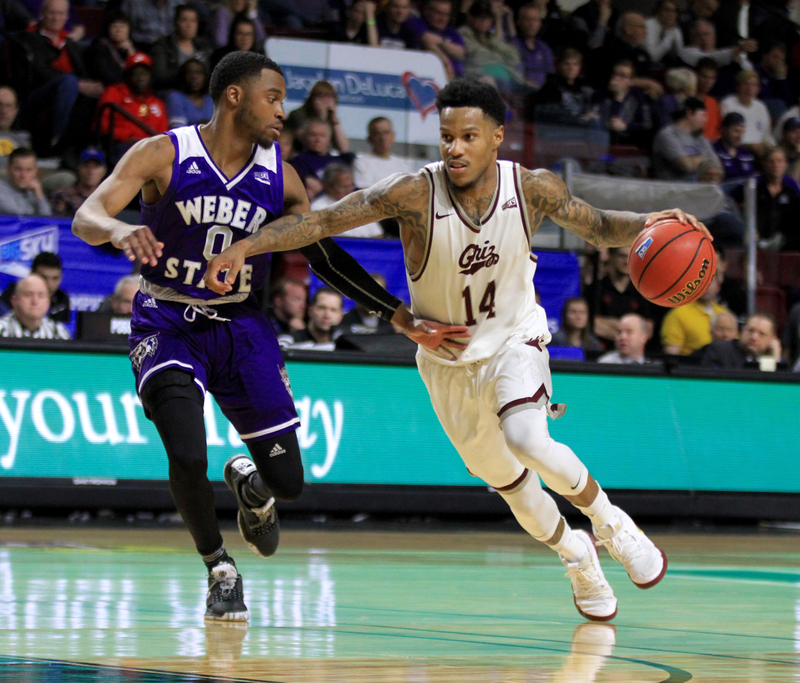 It was the largest margin of victory ever for Montana in a Big Sky tournament game. 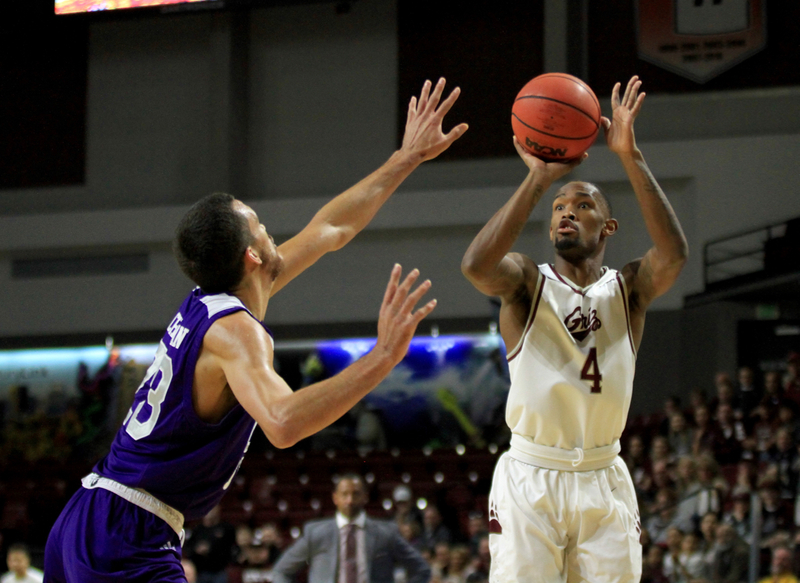 Griz point guard Ahmaad Rorie played a nearly perfect game, finishing 10-for-14 from the field for 28 points to go with seven rebounds, six assists and just one turnover. 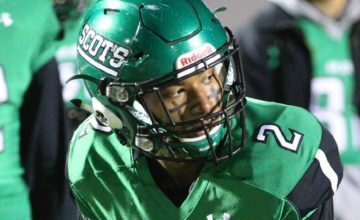 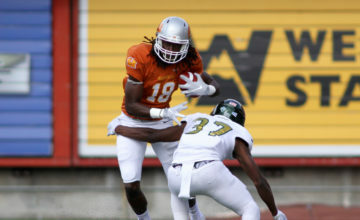 The game was a matchup between the Big Sky’s two premier programs. 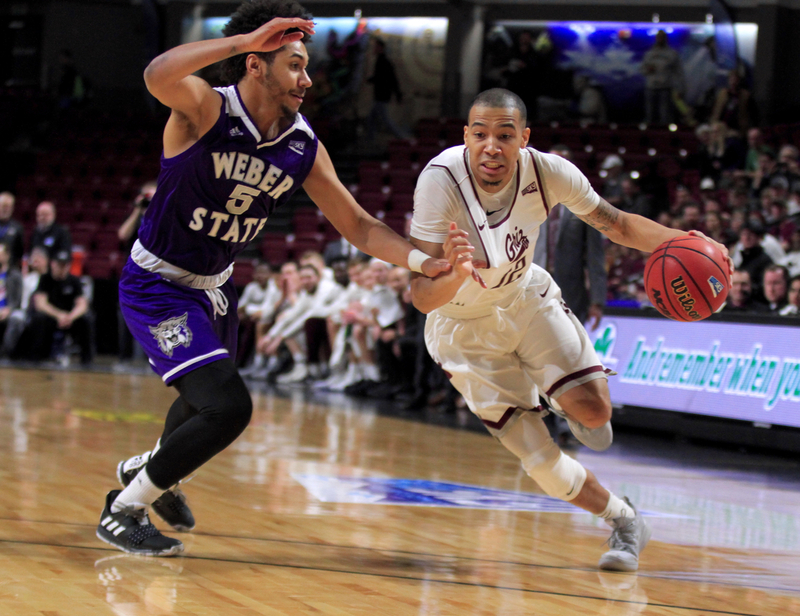 Weber State and Montana have traded off supremacy at the top of the conference for over a decade, with many classic games between the two. 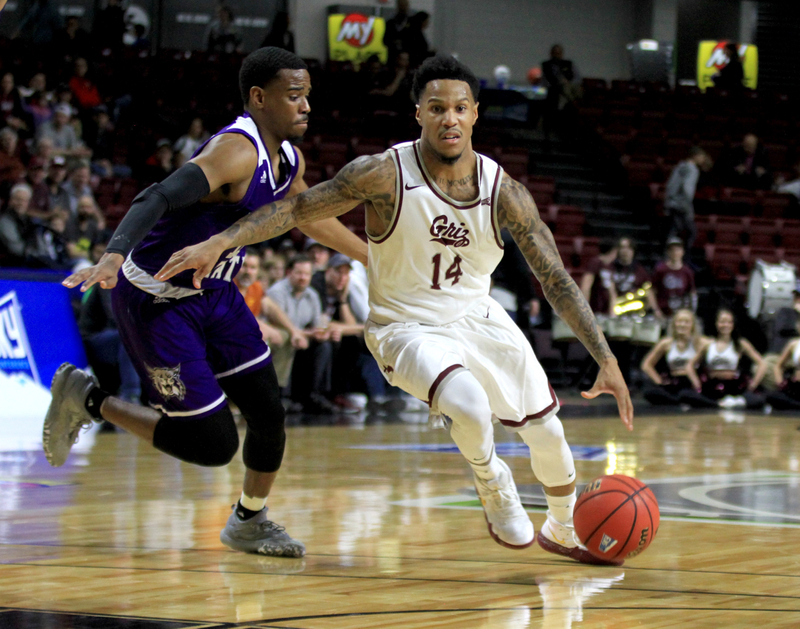 Rorie made sure this one meet that standard. 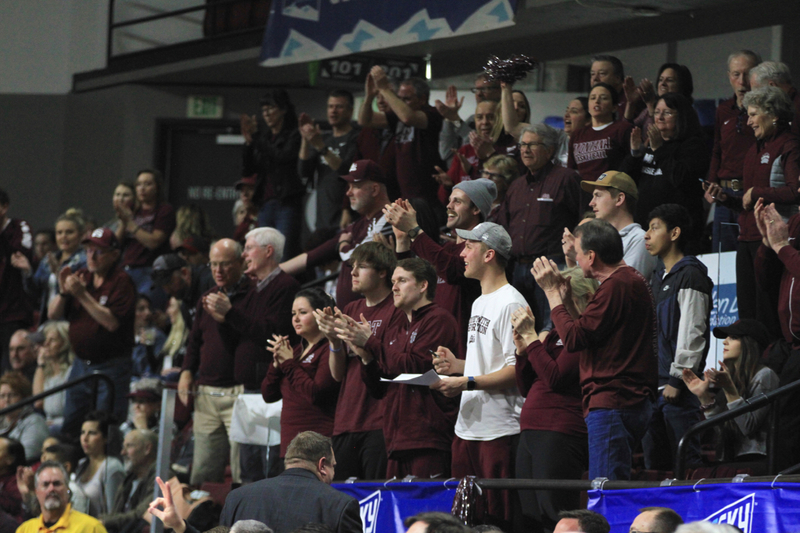 In front of a fired-up, partisan crowd at the CenturyLink Arena, he made his first seven shots, igniting the Griz to a 42-20 lead. 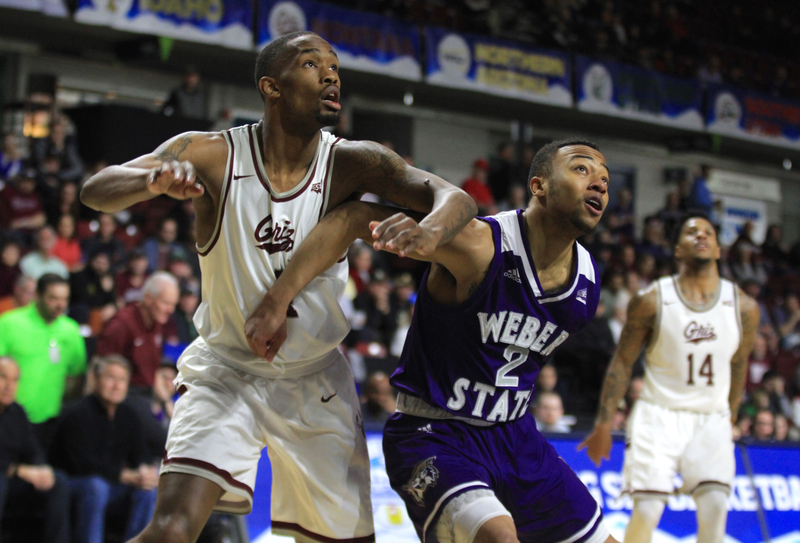 In both previous games this season, Montana at one point led Weber 40-20 before the Wildcats stormed back to make things competitive, losing both games by a combined total of just 10 points. 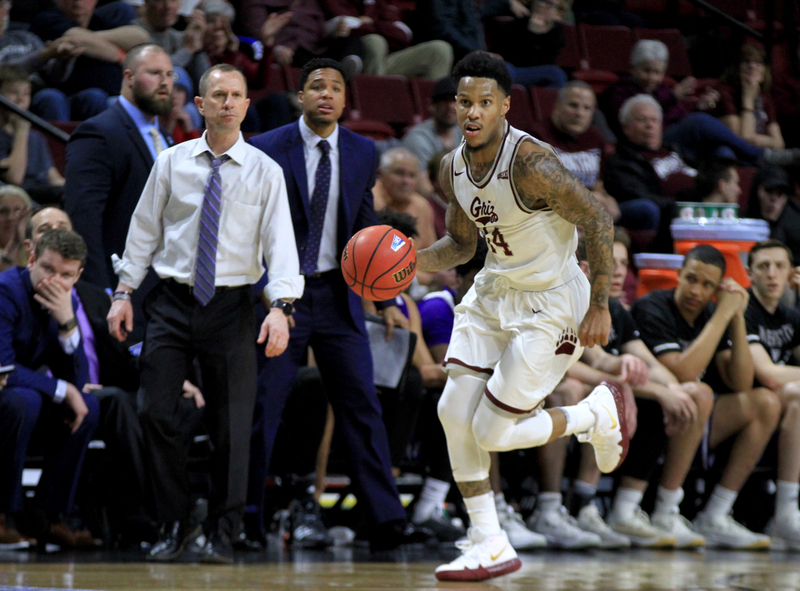 Montana’s coordinated defensive pressure and airtight rotations had Weber State looking lost, and the Grizzlies took full advantage, turning the game into their own personal highlight show. 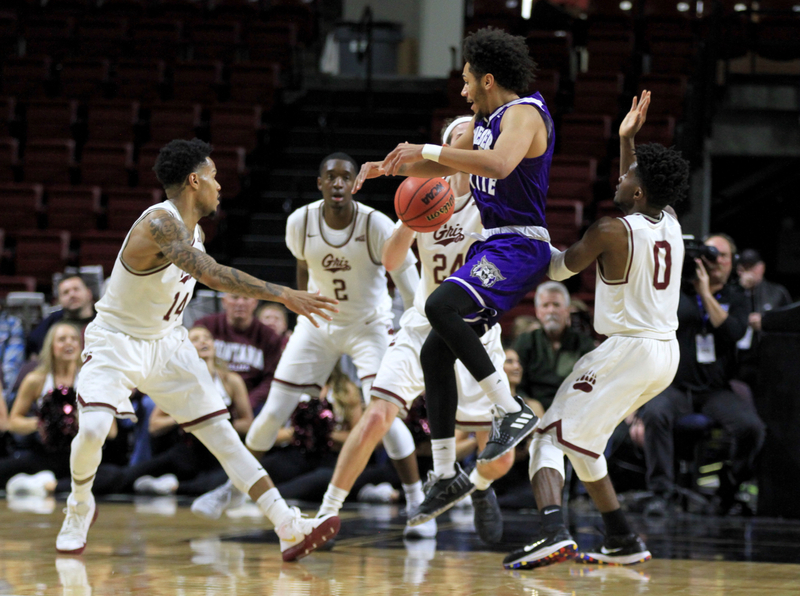 The Wildcats, down 42-22 at halftime, got the lead under 20 points just once in the second half, after a Brekkott Chapman 3-pointer with 16:48 left. 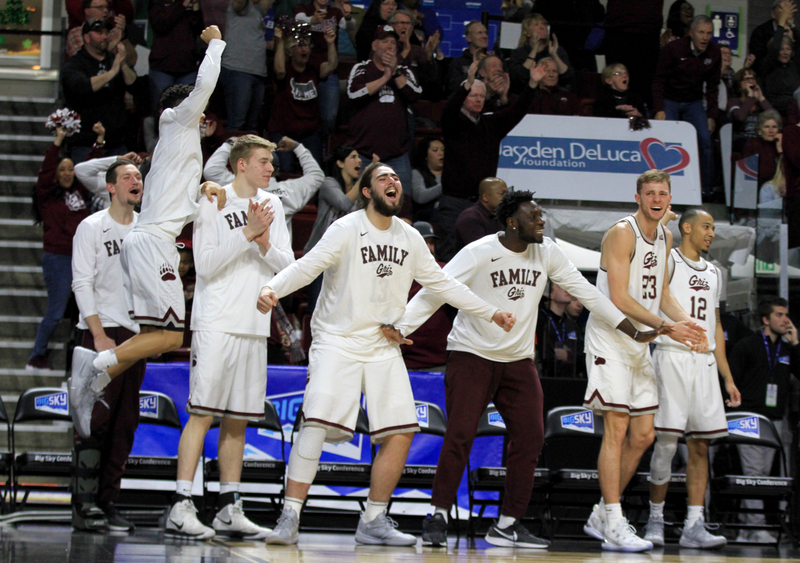 Timmy Falls, Montana’s live-wire 6-foot-2 guard, immediately stopped the run by grabbing his own miss in a thicket of bodies, laying it back up, and flexing at the stands. 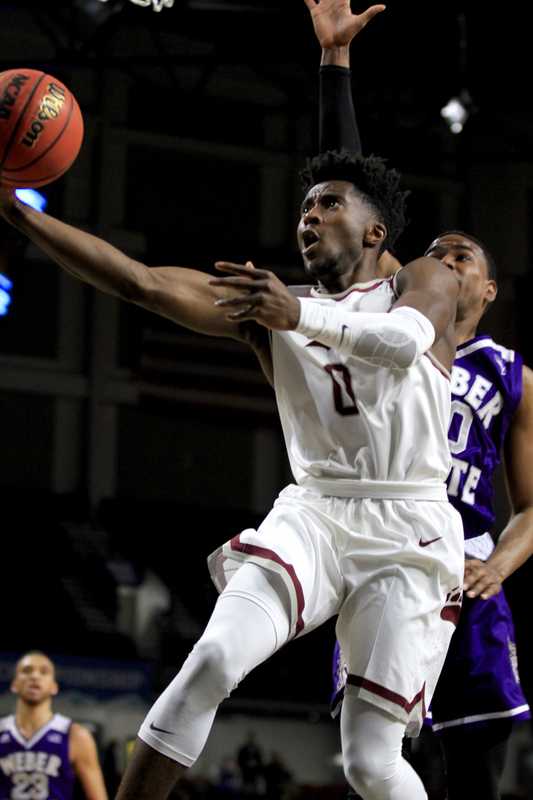 Twenty seconds later, Michael Oguine stripped a Wildcat guard for one of his three steals and threw the ball ahead to Rorie, who dropped it off to a trailing Sayeed Pridgett for a soaring dunk. 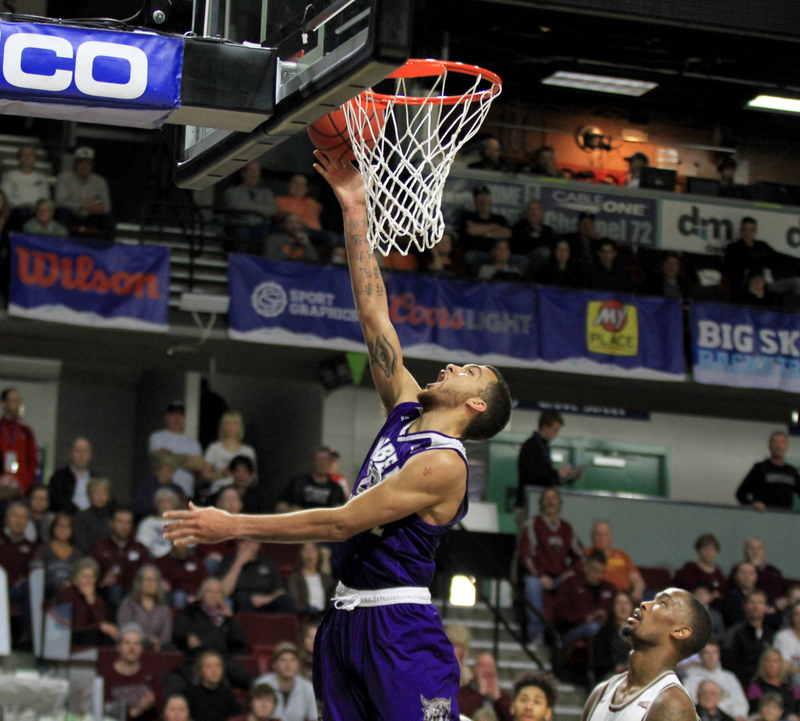 The highlights came fast and furious after that. 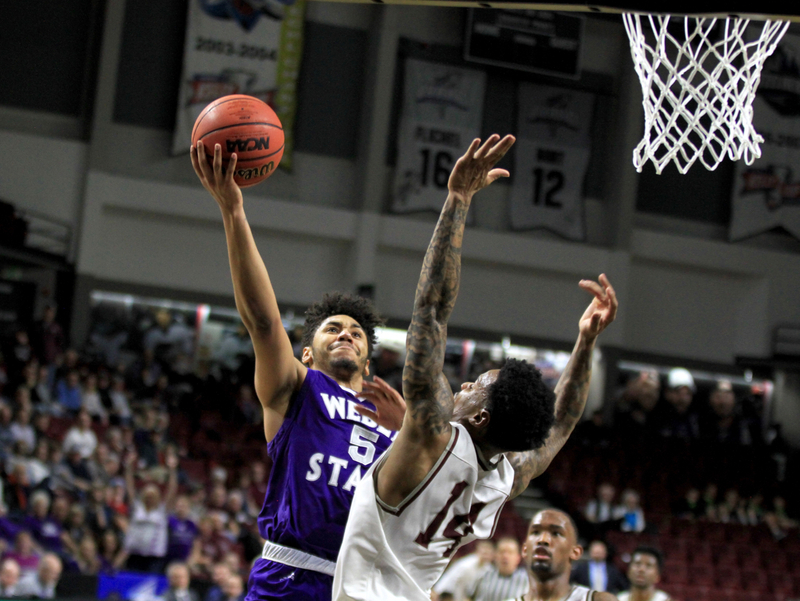 Oguine showed off his athleticism, jumping twice to tip in his own miss in the middle of three taller Weber players. 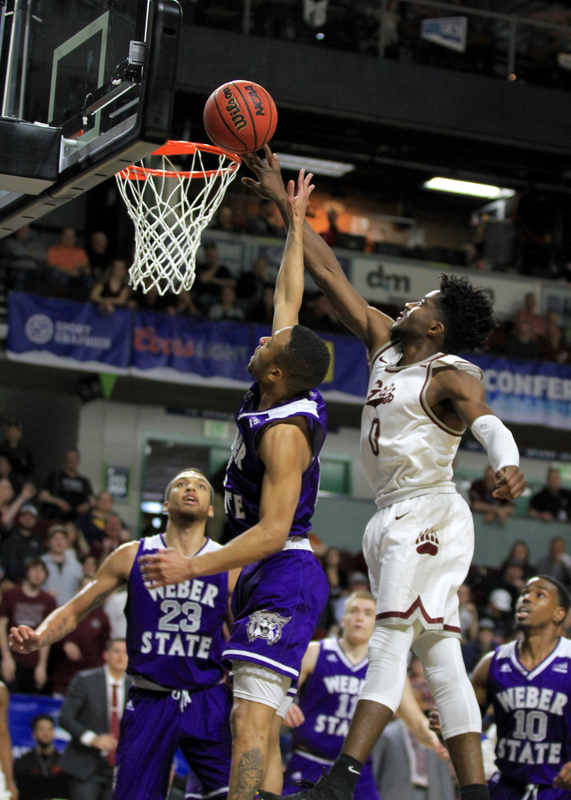 In a final flurry near the end of the game, Rorie split a Weber double team with a behind-the-back dribble before dishing it to Bobby Moorehead for a corner 3, and Falls faked a layup, getting two Weber defenders to jump, before hooking the ball to Mack Anderson for an emphatic dunk. 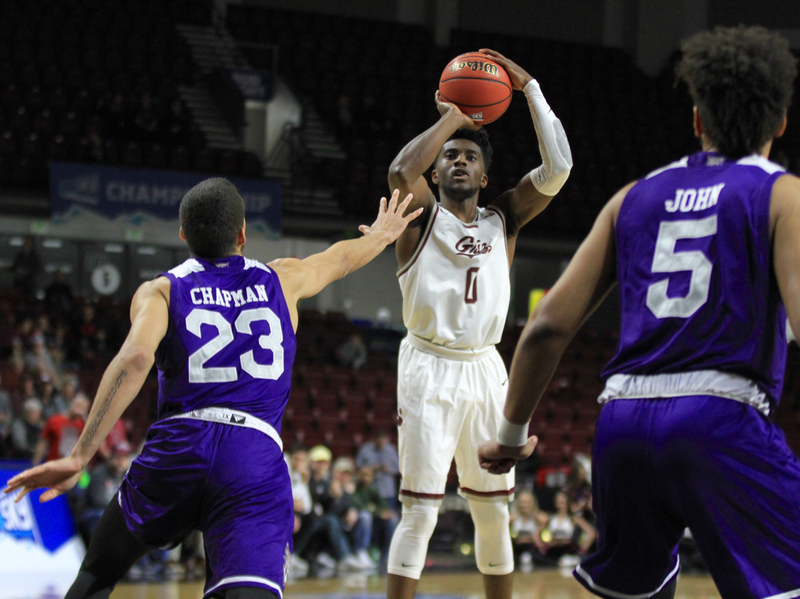 Moorehead backed up Rorie’s incredible effort with 13 points and 10 rebounds, his second-straight game leading the Griz in rebounds. 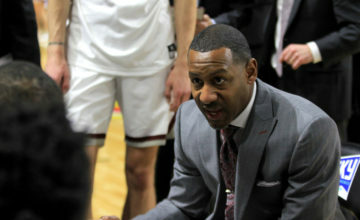 Pridgett had 14 points. 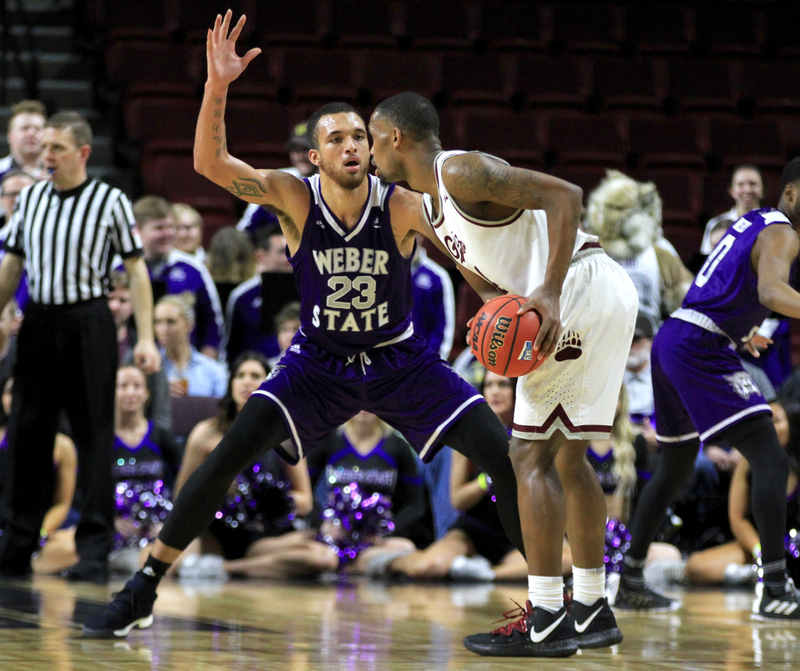 Chapman led Weber State with 16 points. 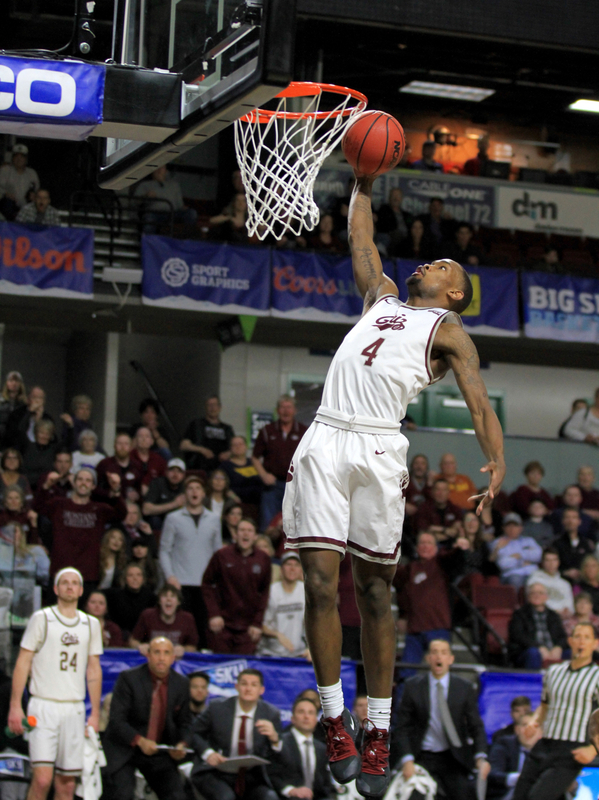 Montana advanced to the championship, where they’ll play either Eastern Washington or Southern Utah.